Welcome to The Sunny Side – an extension of my view of life. You don’t have to read much to see I am nowhere close to a Chicken Little. But I’m not a Pollyanna either. There’s just plenty of material in everyday living worthy of laughter, eye rolling, or head shaking disbelief. However, you’ll miss it if you aren’t paying attention. And the crazy stories of our lives are fun to share. In January 2012 I decided to remake my professional life. Creating this blog and becoming a part of the blogging community was first on the to do list. It’s been fun so far and I feel like I’m making all kinds of new friends! I am a health educator for a local public health department in North Carolina. Half of my time is spent working in media relations and public information, with some crisis communication tossed into the mix as needed. The rest of my efforts are devoted to community education and problem solving around health issues associated with chronic disease, such as healthy eating and physical activity. I also work on topics that might be specific to my county. What I REALLY love doing is helping people connect…with an idea, an opportunity, other people or an organization…in a way that empowers them to become healthier and happier. I am an encourager; I get a big kick out of encouraging people to go after a goal or a dream and then watching them succeed. I am a team player, even if there is only one (me) on the team. Next up? Freelance as a writer, presenter and trainer with an emphasis on bringing a little sunshine into the lives of those who might be in the shade too often. In addition to writing, I like to cook, travel, work in the yard and read. I have my share of mishaps in all. 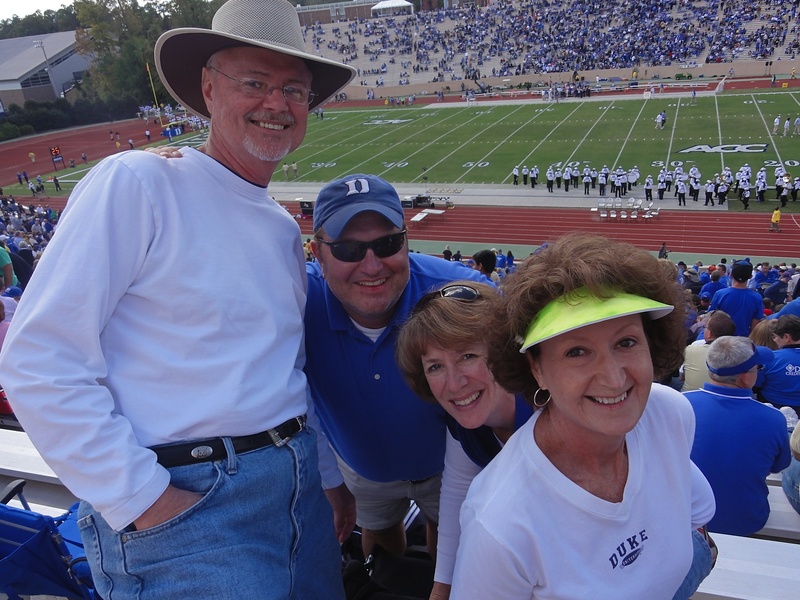 I am a Duke graduate married to a Carolina (UNC-CH) graduate (some would say this is a mishap). We both enjoy watching college basketball, but not always together. I have a nice size extended family who are a big part of my life. Music is a part of my very being; that’s how I came up with the name for this blog. You can read a bit more about it in my first post. I am interested in almost everything, which means there is no telling what my next post may cover. I appreciate you checking it out. Thanks!